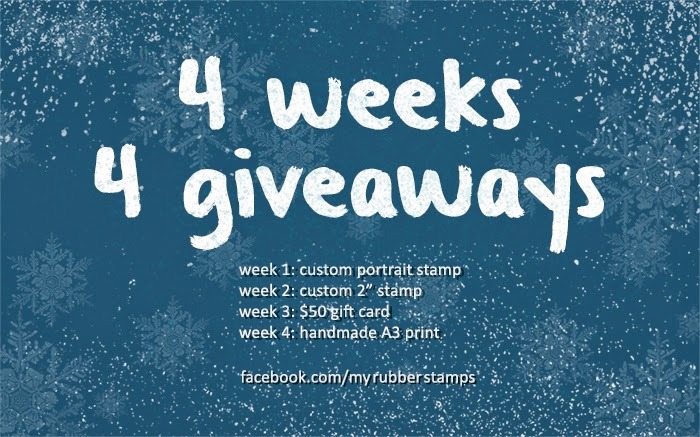 I promised you a new giveaway on Facebook a while ago, but decided to... have four instead! There will be one giveaway every week leading to Christmas - they will happen on Facebook and perhaps Instagram, starting every Wednesday and ending the next Tuesday. I will be posting the details of each of them here on the blog. I will be giving away the following items - open to everyone and world shipping (regular airmail) is included. 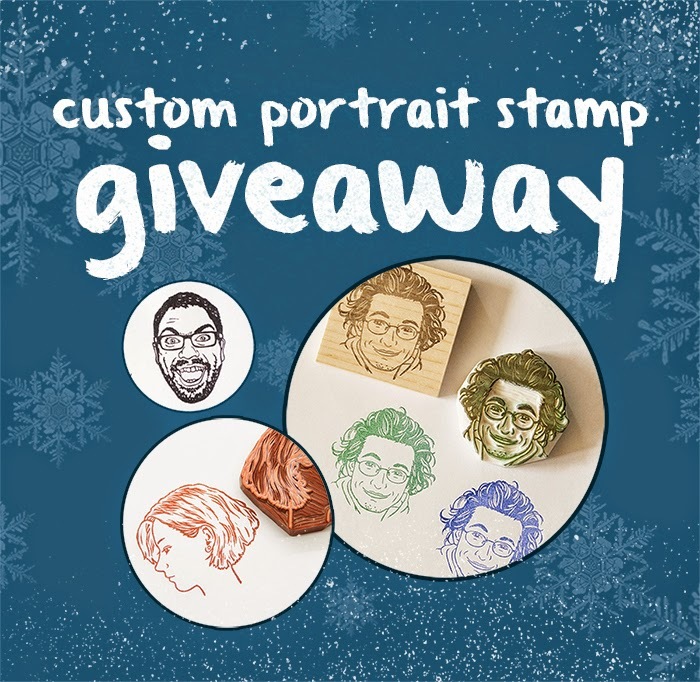 Current giveaway: a custom portrait stamp. This is a Facebook challenge and you can take part here. A 2" stamp of your choice. I'm considering having this challenge solely on Instagram, but I haven't decided how it works yet. A $50 gift card for you to use in the shop or give as a present. A new two-block print ($80) - you can see the first block here; I've already completed the second block - a lighter-color background layer so the print will be completed very soon. In case the prints are sold out, I will give away a $80 gift card instead. That's about it! What do you think? 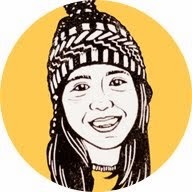 I would love to hear about your suggestions/questions. Now I will be making some new cover images for Facebook and the shop; the newsletter will be sent out today about the giveaway, so the four weeks of giveaway officially commences! I'm not sure what's happening but I can't do the facebook entry. You don't see http://i.imgur.com/e1YxkhD.png do you? It won't let me post.